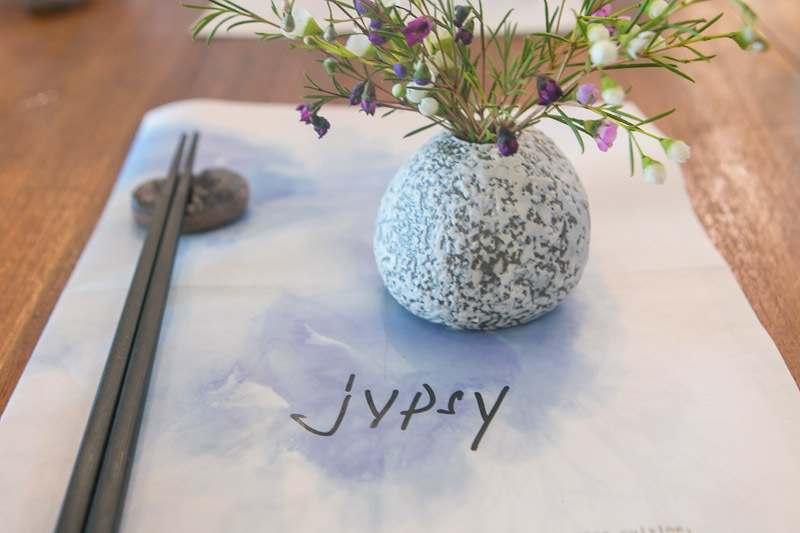 Step into JYPSY, PS.Café’s new Japanese casual restaurant, and you’ll fall in love with the relaxing vibes and coastal-inspired interior design. 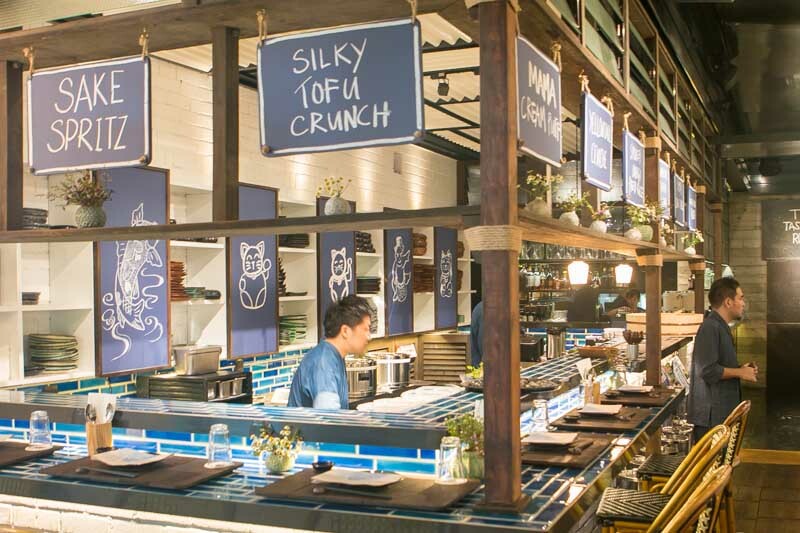 Located along Martin Road near Robertson Quay, look out for the rustic Japanese storefront. 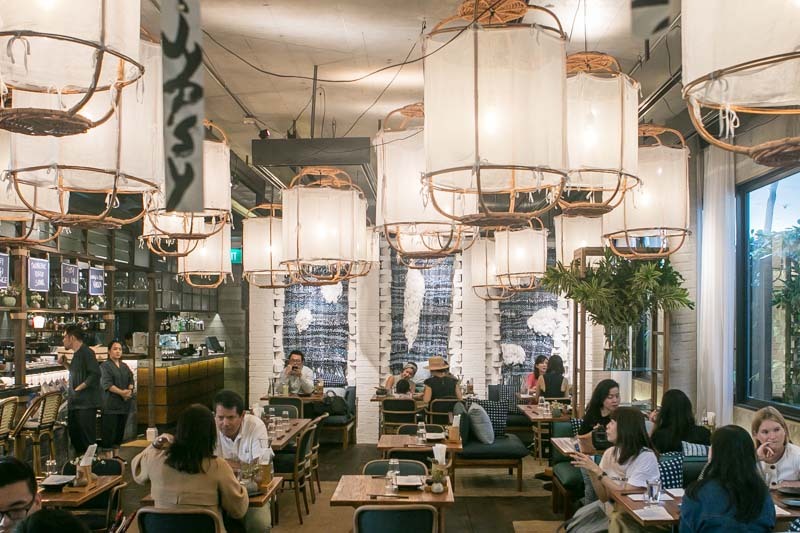 Inside, the rustic theme gives way to a touch of modern, with fisherman paper lanterns hanging over the clean lines of nautical wooden furniture. I loved how even the menu and cutlery was beautifully designed, with a wash of subtle blue watercolour and pebble chopstick holders. If you like getting up close and personal with the culinary action, take a seat at the bar counter. And for those who just want a relaxing meal, the comfy cushioned seats make it a perfect hangout spot. 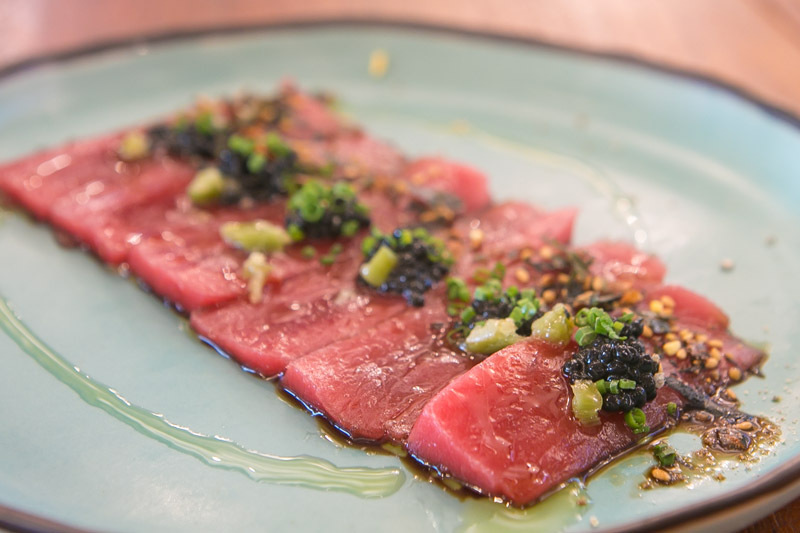 We started off with the indulgent Bluefin Tuna Sashimi (S$24), which came topped with shichimi furikake, Avruga caviar, wasabi and baby shiso. I have to say, this is a mouthgasmic experience. 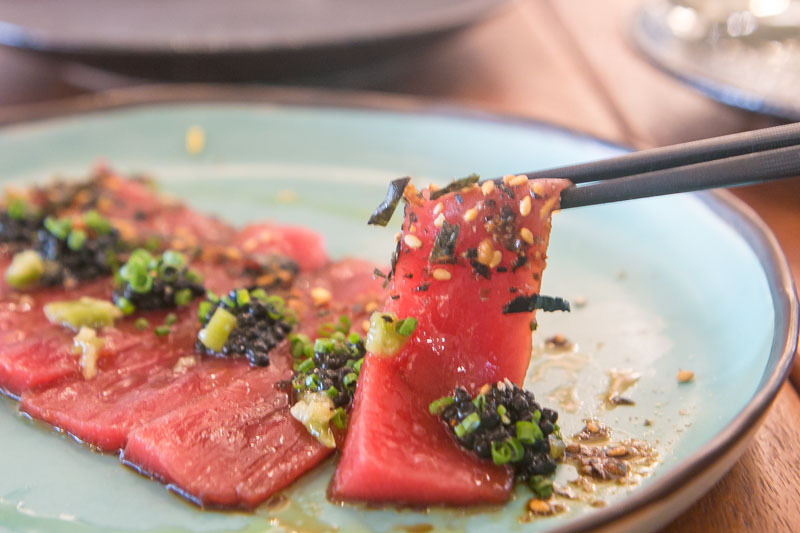 Each piece of super soft tuna sashimi practically melted in my mouth, so I barely had to chew. Buttery and fatty, this dish was briny with hints of fresh sweetness. Fans of fries, you’ve got to try the Nest Of Fries (S$11). 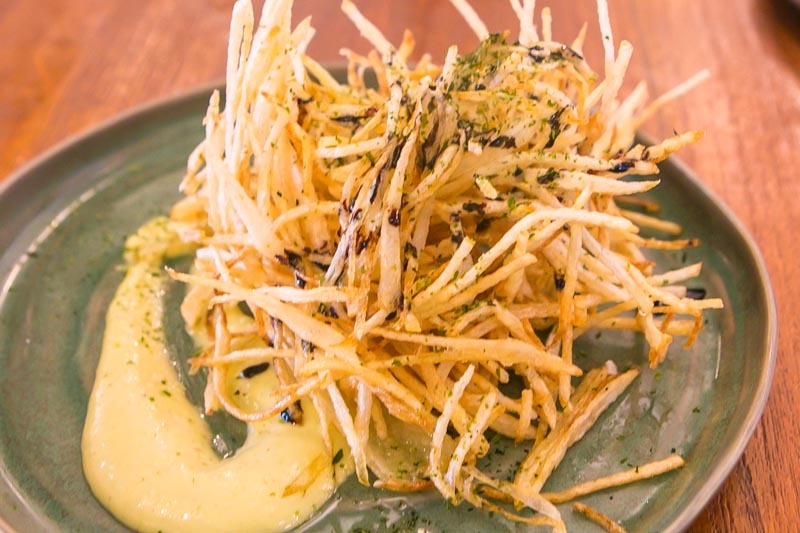 Bringing together the concept of kakiage and PS.Cafe’s iconic truffle fries, this beautiful mess of crispy shredded potatoes may just be the best finger food for sharing. JYPSY doesn’t skimp on the white truffle oil, and these fragrant skinny sticks of starchy goodness went really well with the wasabi mayonnaise. You may not actually want to share this one! The JYPSY Rainbow (S$19) was a visual feast that also filled up my belly. 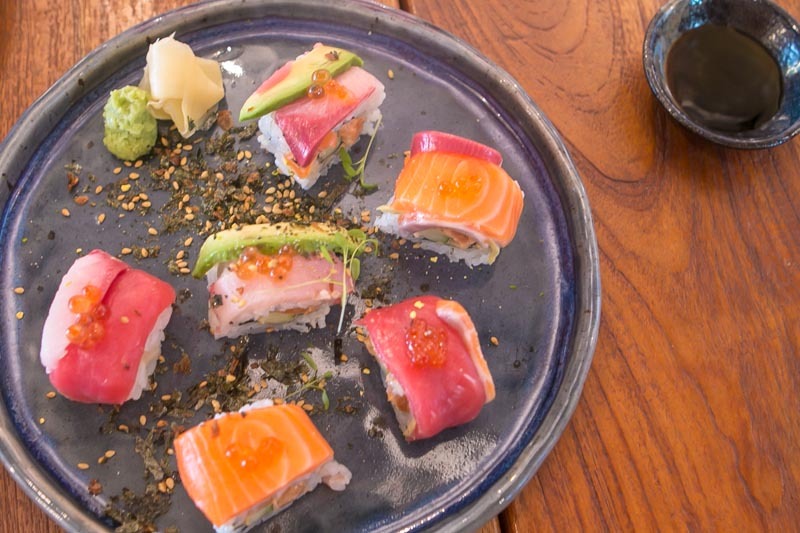 The assorted sushi rolls (two of each variety) included torched salmon belly tartare, bluefin tuna and yellowtail, all served with avocado and yuzu furikake. 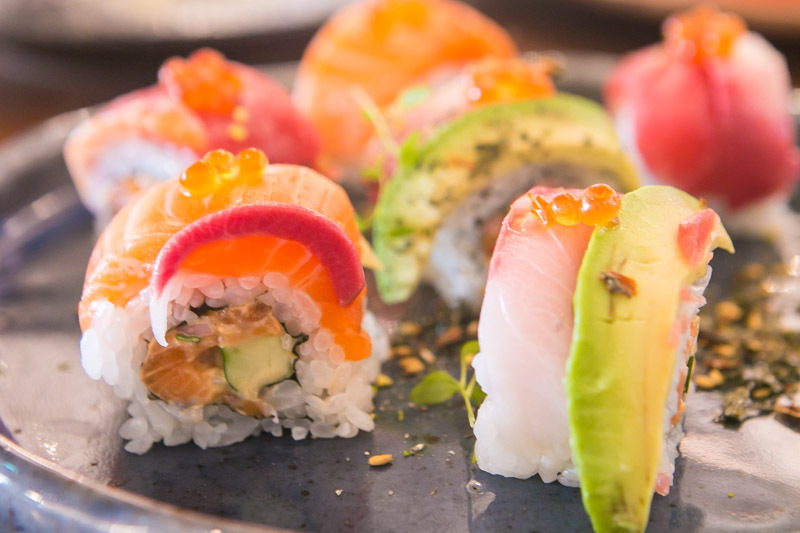 It was difficult to pick a favourite out of the three, so I’d suggest just eating one of each to satisfy those sushi cravings. Don’t try to share this with more than two people, because then you won’t get to try all the varieties. Fresh sashimi, creamy avocado, poppin’ ikura and fluffy Japanese rice – you might end up finishing the whole dish on your own as a meal. 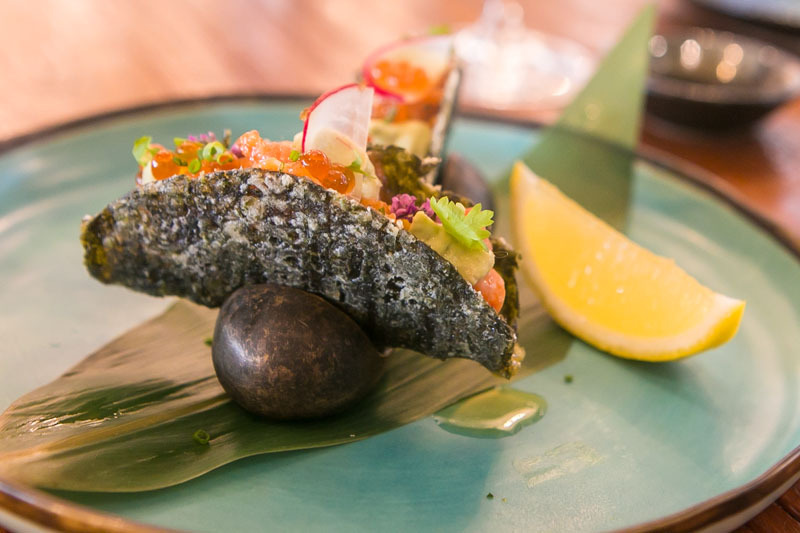 For some Japanese fusion cuisine, why not try salmon in tacos? 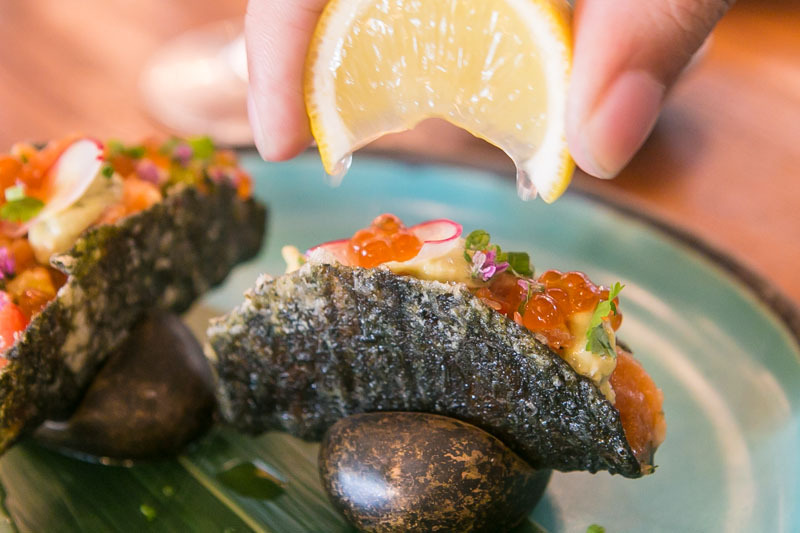 The JYPSY Salmon Tacos (S$14) uses taco shells made from crispy seaweed, and filled chunks of fresh salmon. Add in the avocado and tomato salsa, and you have a strikingly vibrant dish. From creamy to succulent and even crispy textures, this dish surprised me with every mouthful. The savoury and tangy flavours came together to create surprisingly refreshing tacos, perfect for a light bite. 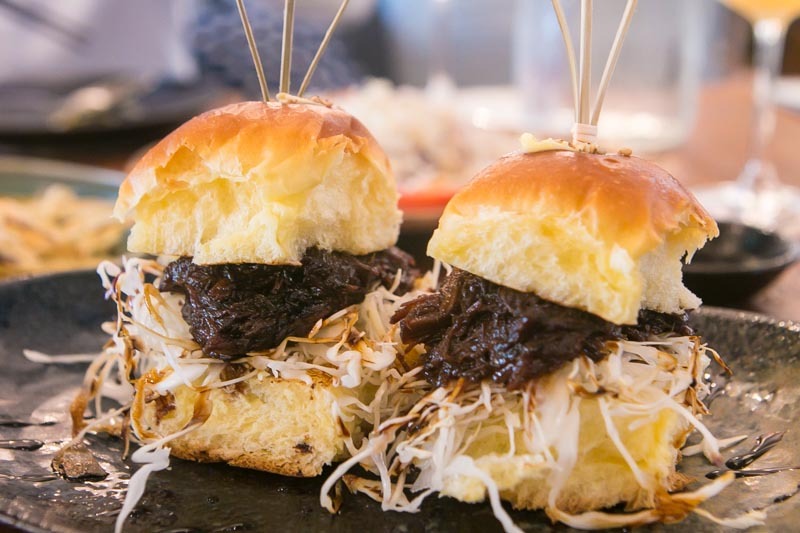 For a heartier fare, the Obasan’s Sticky Beef Sliders (S$15) will satisfy the meat lovers. There’s nothing more comforting than Mum’s recipe, and Chef Taka uses a homely recipe for this dish. The sticky and sweet Wagyu beef sandwiched between two fluffy buns made each bite burst with savoury goodness. 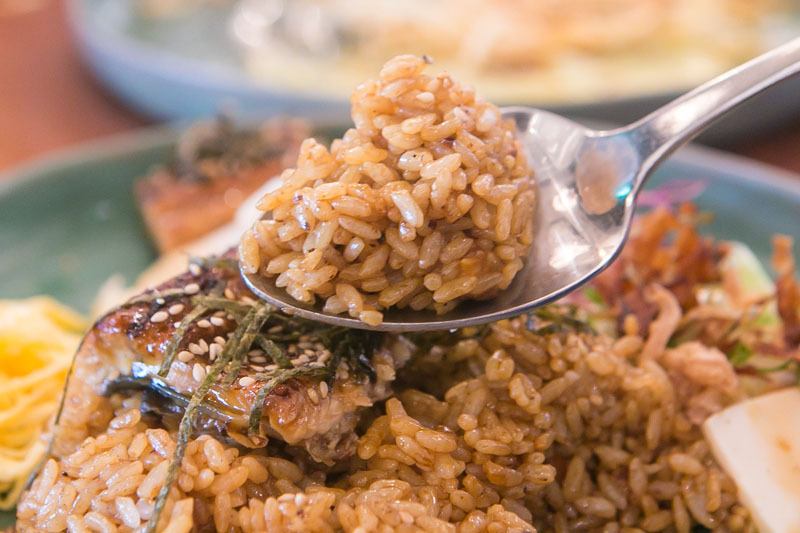 If you’re here at JYPSY for lunch, the Smokey Unagi Fried Rice (S$22) is one of their All-Day Bowls that you have to try. The hearty portion makes this well-balanced meal great for big eaters. 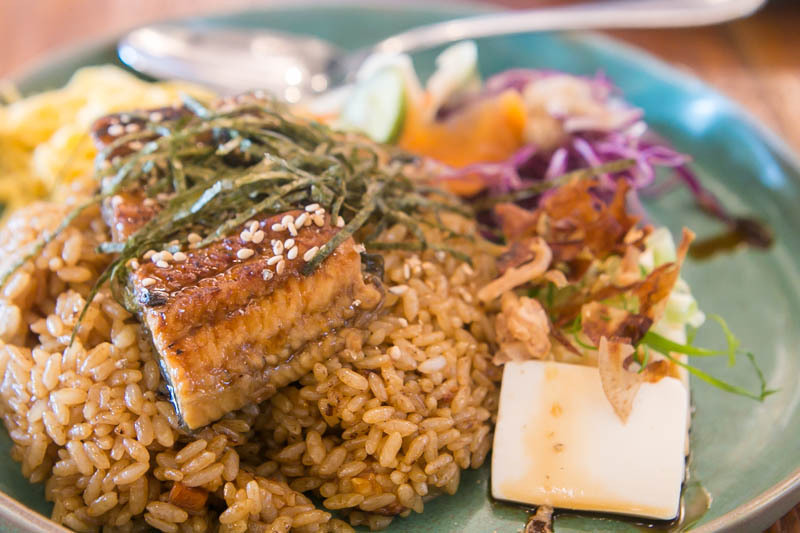 It consists of a juicy slab of grilled unagi atop wok-fried Japanese rice, with tofu, pickles, egg omelette and slaw serving as substantial sides. The wok-fried Japanese rice retained its wok hei flavour, reminding me of our local fried rice, and I loved how the smoky flavour lingered on. But the star of this dish was definitely the unagi. 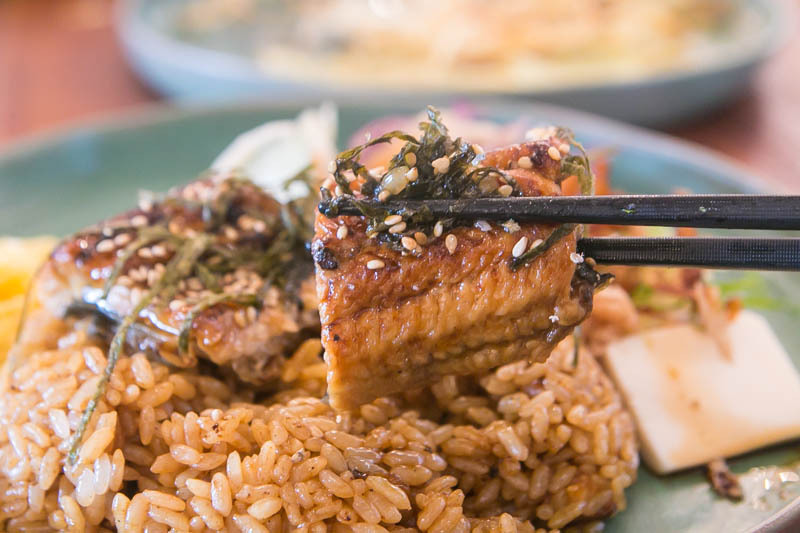 When I took a bite, the unagi broke apart easily in my mouth and didn’t have any gritty taste at all. It’s evident that JYPSY sources their eels fresh from Japan. A meal’s not complete without dessert, so we sampled three of JYPSY’s sweet treats. 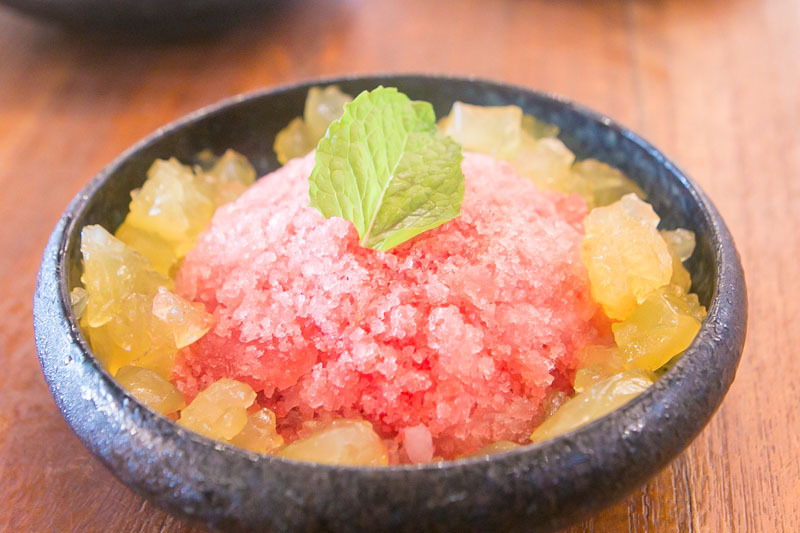 The Japanese-inspired Watermelon Granita (S$9) surrounded by calamansi jelly is a refreshing dessert perfect for sunny Singapore. The tart calamansi jelly cut through the sweetness of the watermelon granita and provided a textural contrast to the innovative dessert. Another unconventional dessert at JYPSY, the Yuzu Tofu Cheesecake (S$10) took the top spot as my favourite. A perfect dome of silken ‘tofu cheese’ topped a bed of crunchy butter biscuit crumbs, with yuzu sauce drizzled over the dish. The contrast in flavours made this dessert simply sublime. 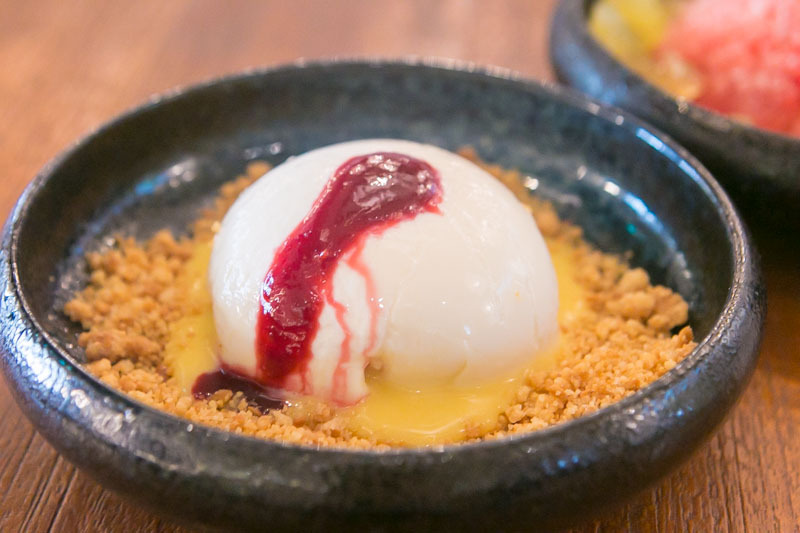 While it’s not as refreshing as the Watermelon Granita, JYPSY did a good job in turning the usually jelak cheesecake into something lighter on the palate. If you want to chat with your friends for a while more, why not tip back a few drinks? 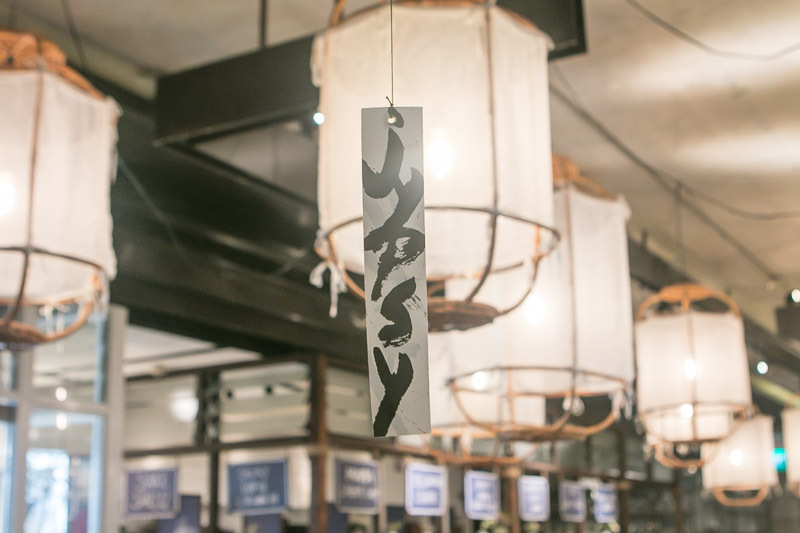 JYPSY offers a variety of tipples, with Japanese and global influences. My personal favourite was the Yuzu Gin Fizz (S$17), a Hendrick’s Gin based cocktail that was fragrant and slightly citrusy. 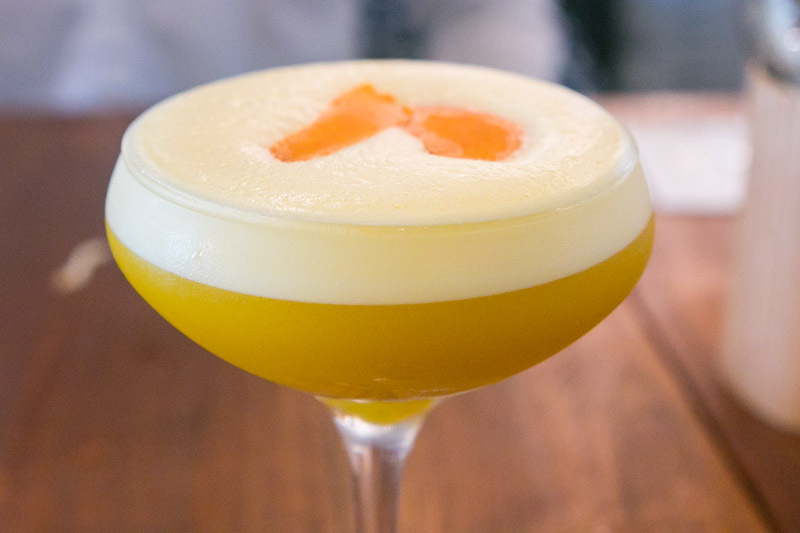 This drink will help you settle your tummy after the feasting. 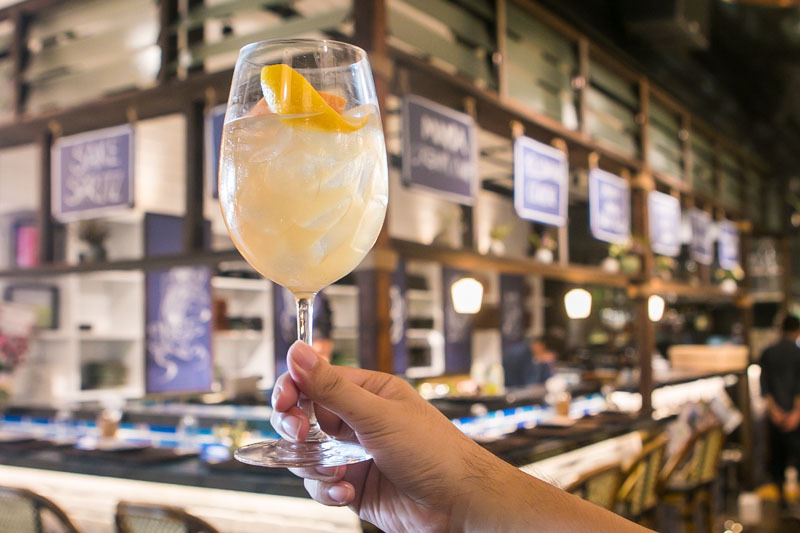 The Sake Spritz (S$17) is another refreshing cocktail. Made with sake, St Germaine, plums and figs, this drink was both sweet and citrusy. Sip it slowly, because this deceptively mild cocktail packs a punch. 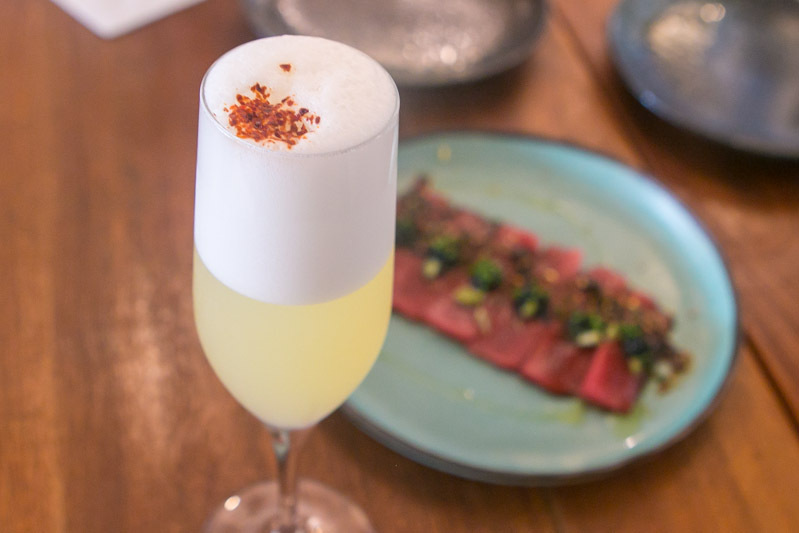 The adventurous drinker would probably go for the Turmeric Pisco Sour (S$19), a Peruvian brandy-based tipple with sweet maraschino and turmeric. The addition of turmeric intrigued me, it added a slightly bittersweet flavour, and made the cocktail smell faintly of ginger. If you come to JYPSY expecting wholly traditional Japanese fare, you probably won’t be a happy bunny. But live a little, and the innovative dishes on this casual Japanese joint’s menu will surprise you!